The team has been collecting victories when they became the first Philippine team to qualify for The International 2016. One of the highlights of the tournament was the team’s unexpected 2-0 win against European powerhouse team, OG. They ended up placing 8th, marking the highest placement a Filipino team has achieved at TI event. 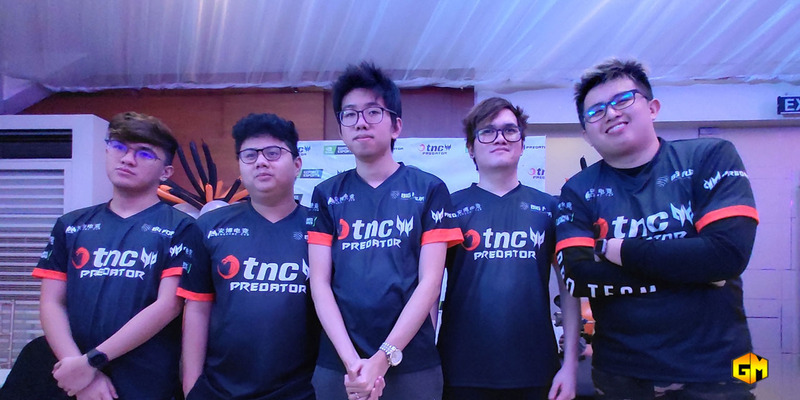 Predator, who has been a constant partner in success of the TNC Pro Team's Dota 2 roster since 2016, has always provided exceptional tools and devices the team needs to step up their game and perform to the best of their ability without having to question their equipment. This year, Predator has also extended their support to TNC's Counter- Strke: Global Offensive and League of Legends rosters. Can the TNC can qualify for the TI 2019 in China? Can they make another history surfacing their previous 8th spot?